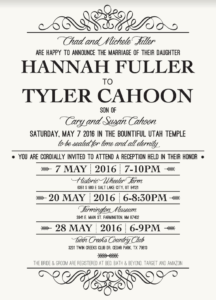 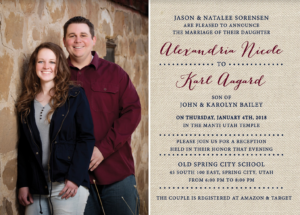 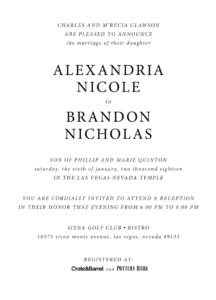 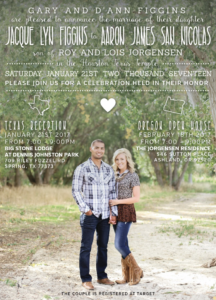 Our portfolio of custom wedding invitations is a great place to start to find ideas for your wedding invitation. 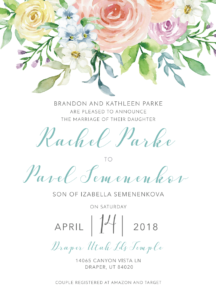 We hope that as you browse you will find inspiration for your perfect wedding invitation! 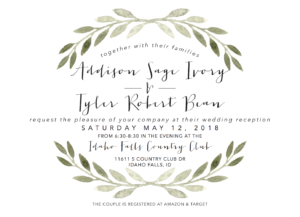 Whether you decide to use one of our existing designs as a starting point, or other wedding invitation ideas and inspiration on websites like Pinterest, share those links with us in the order form and we can customize it for you. 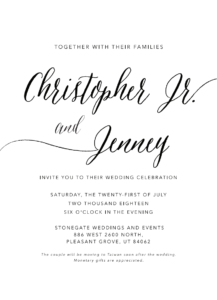 You can also mix and match colors, fonts, and designs from multiple wedding invitations. 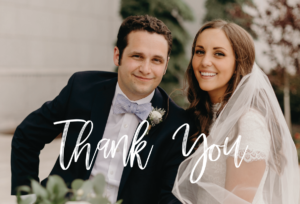 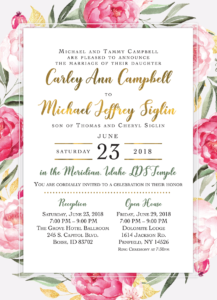 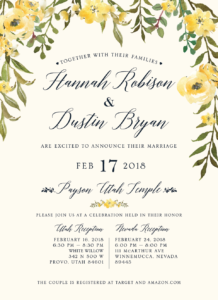 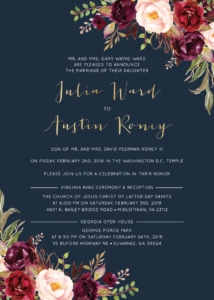 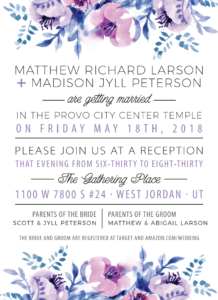 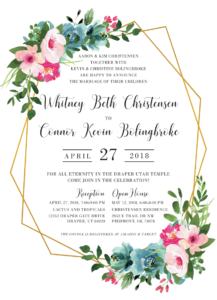 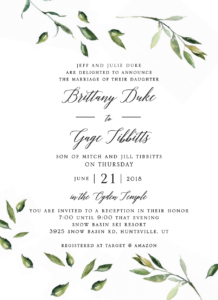 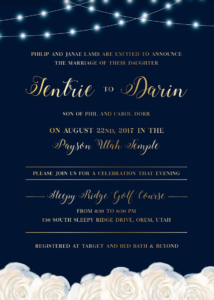 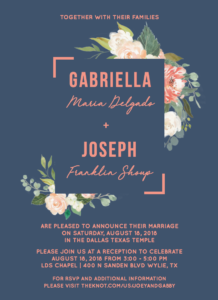 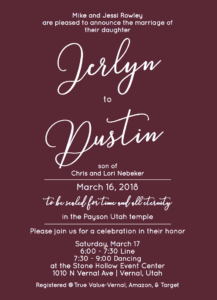 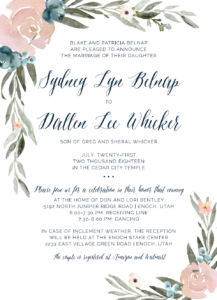 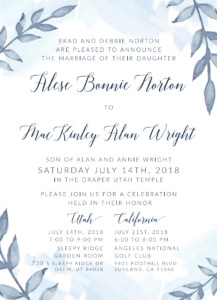 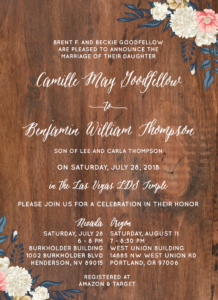 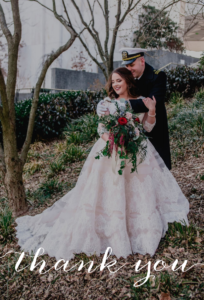 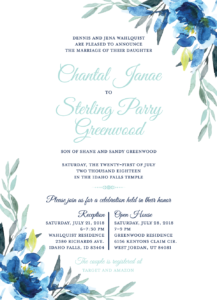 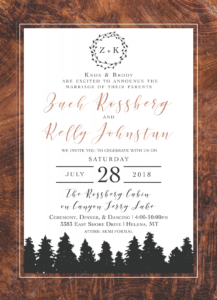 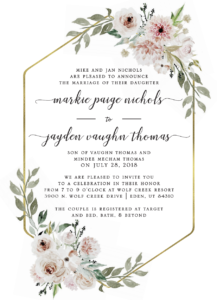 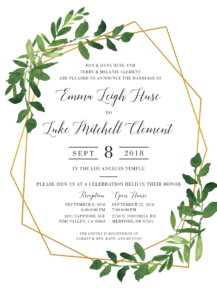 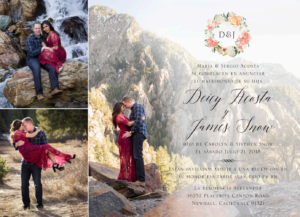 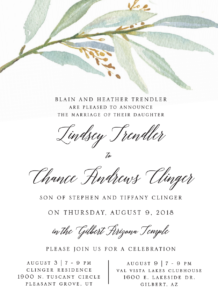 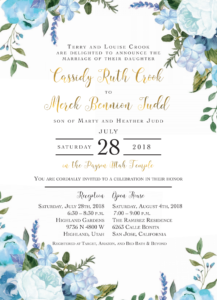 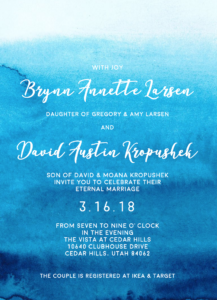 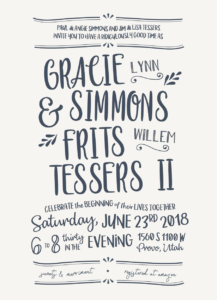 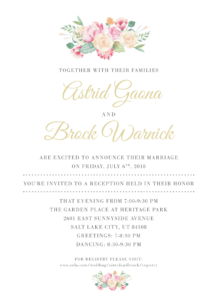 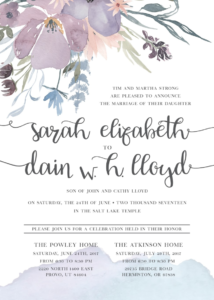 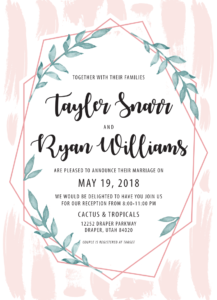 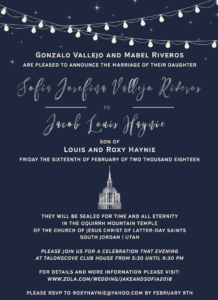 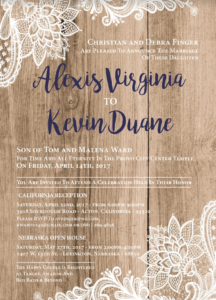 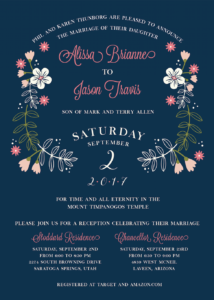 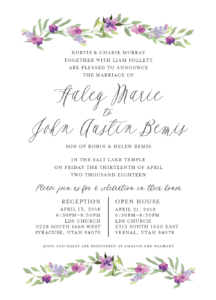 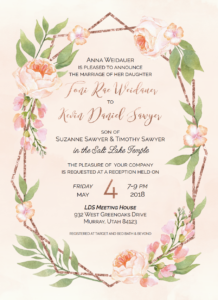 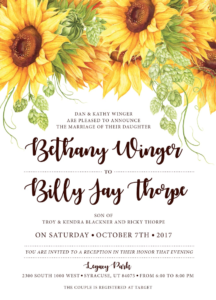 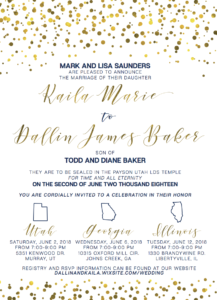 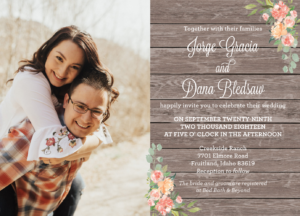 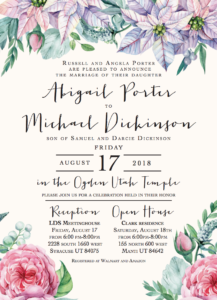 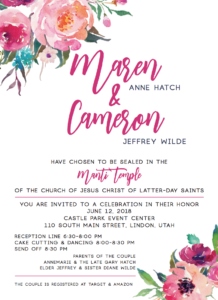 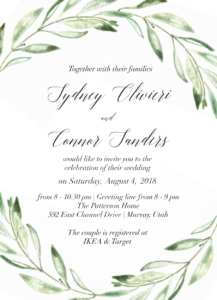 We are more than happy to answer any questions you may have about a particular design and look forward to creating your custom wedding invitation. 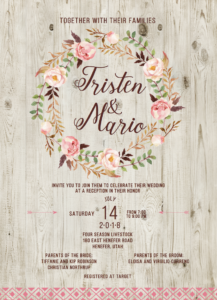 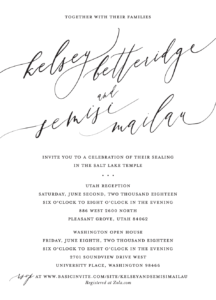 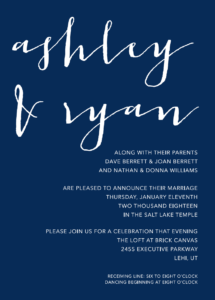 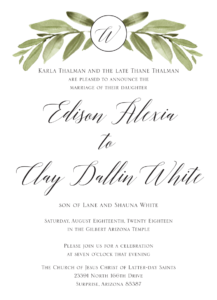 Remember, we can customize any of our designs or create a fully custom wedding invitation for you!